The much-anticipated event of the year, Google’s biggest hardware of the 2017 event is now done. There are several hardware announcements from Google, alongside some insiders on software things such as AI progress, etc. 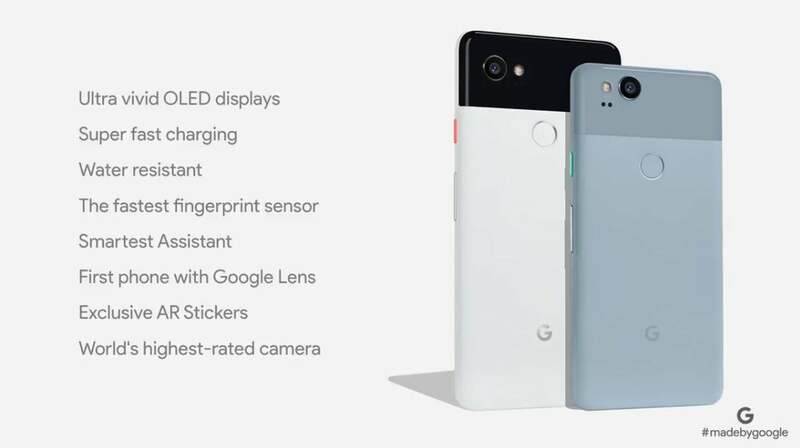 Apart from the expected, Google Pixel 2 and Pixel 2 XL, the search giant also unveiled several new hardware products, which I have detailed in this article. Read on to know more about complete announcements made by Google at its biggest hardware event of 2017. 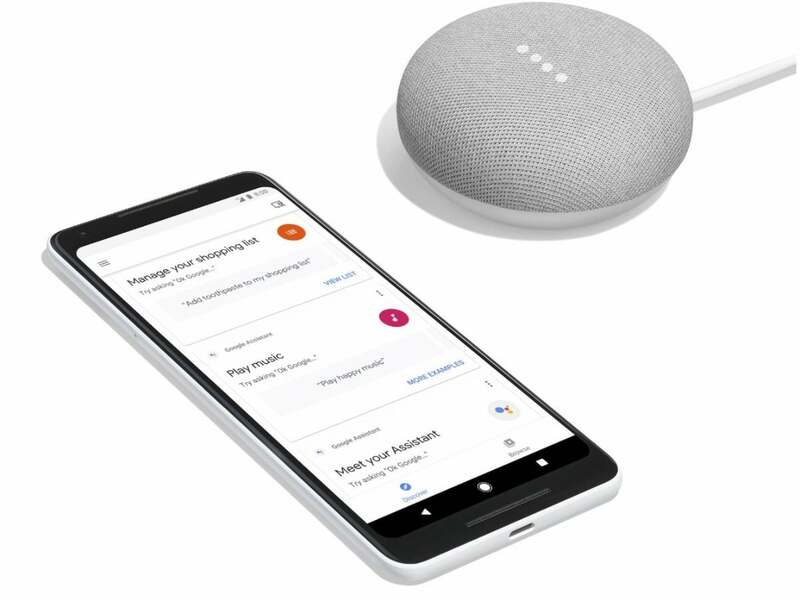 As it was rumoured earlier, Google officially announced the Google Home Mini smart speaker powered by Google Assistant. However, the surprise here is the Google Home Max speaker. The Home Mini is a mini version of the Google Home launched last year and it retails for $49 in the US. The Google Home Max, however, is the bigger version of the Google Home and Google promises it delivers exceptional sound quality. 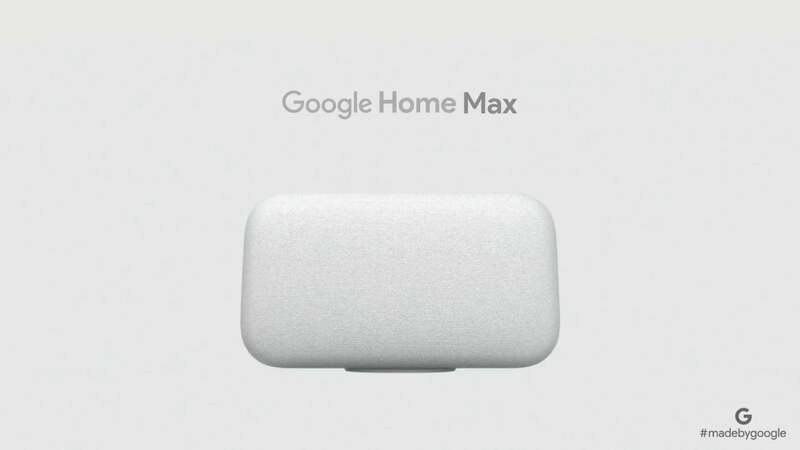 In fact, Google cites that the Home Max delivers 20 times better sound than the Google Home. It will retail for $399 in December, along with free YouTube Music subscription for 12 months. Next up in the list is the Google Pixelbook, which as per Google delivers a premium performance and redefines the laptop experience. 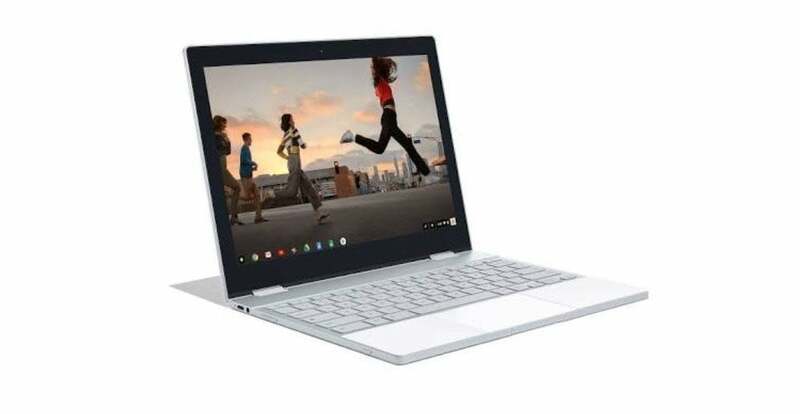 This Google Pixelbook runs Google’s Chrome OS, and it comes with Google Assistant built-in, which makes it the first laptop to come with Assistant. The laptop is lightweight at just 1KG, and it measures just 10mm in thickness. The Pixelbook has a 12.3-inch Quad HD display, which will deliver exceptionally good viewing angles. The laptop will be available in two processor variants- Intel Core i5 and Core i7, along with up to 16GB of RAM and 512GB of internal storage. Furthermore, Google announced a Google Pixelbook Pen, which has 10ms of latency and 2000+ levels of pressure sensitivity. The Pixelbook fully supports Google Play, meaning all the popular apps will now support Pixelbook. Snap Inc is working closely working with Google to bring a dedicated Snapchat app to Google Pixelbook. Google has added a USB Type-C charging port in the Pixelbook, and the battery life of the laptop is said to be 10 hours with continuous usage. Also, it has support for fast charging. That said, the Google Pixelbook is Google’s Apple iPad Pro. The Pixelbook will be available in three configurations- the price starts at $999, and the Pixelbook Pen will retail for $99. Google is already taking pre-orders for the Pixelbook in the US. So, we’re now in the best segment of all. Google has announced the Pixel 2 and Pixel 2 XL. The Pixel 2 has a 5-inch 1080p display, whereas the Pixel 2 XL comes with a 6-inch QHD+ display. And both the displays are OLED panels. 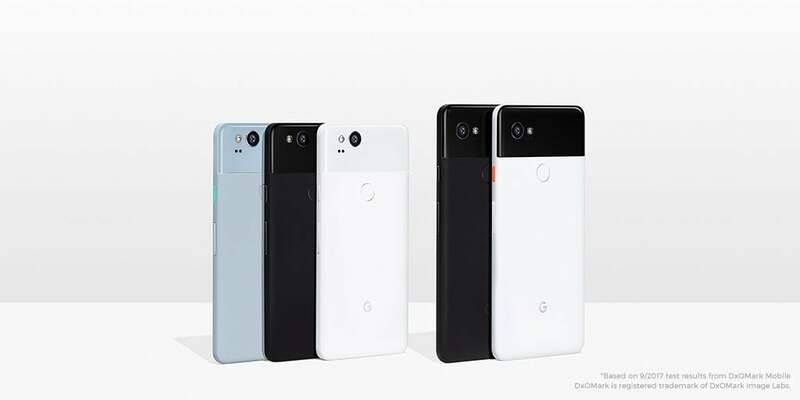 The Pixel comes in three colours- Kinda Blue, Just Black, and Clearly White. The 6-inch Pixel 2 XL has a P-OLED display panel, same as the LG V30, of course, it’s built by LG. That said, the display on the Pixel 2 XL is said to be exceptionally optimised and both the phones are Daydream ready. The Pixel 2 XL comes in just black and white colours. The Pixel 2 and Pixel 2 XL feature fast charging support, and Google promises to deliver seven hours of battery life with just 15 minutes of charge. Just like the rumours about 2017 Apple iPhones, all the rumours about the Google Pixel 2 devices are true. The Pixel 2 comes with an Always-On display, revamped Pixel launcher, and ‘Active Edge’ feature, which makes use of HTC’s Edge Sense technology. Sadly, Google has removed the 3.5mm headphone jack in the Pixel 2. As expected, the Pixel 2 features top-notch hardware in the form of Snapdragon 835 SoC, 4GB of RAM, 64GB/128GB variants, stock Android 8.0 Oreo with guaranteed software updates. All the Android Oreo features such as notification dots and Picture-in-Picture are present in the Pixel 2. The Pixel 2 has dual front-facing speakers, rated to deliver to exception audio quality. The Pixel 2 will retail for $649 for the 64GB variant in the US and $749 for the 128GB variant. The Pixel 2 XL will retail for $849, although for the 64GB variant. Users in the US can start pre-ordering the Pixel 2 devices. The Google Pixel 2 is priced at Rs. 61,000 in the Indian market for the 64GB variant, and the 128GB variant costs Rs. 70,000. The Pixel 2 XL 64GB costs Rs. 73,000, and the 128GB variant costs Rs. 82,000. 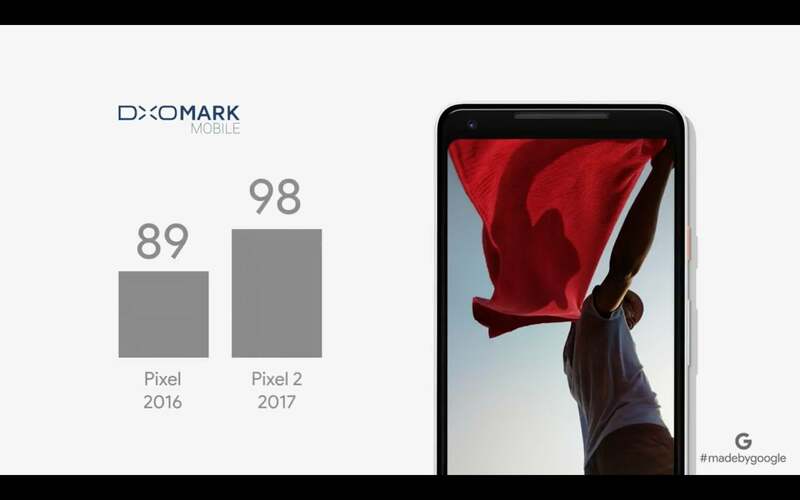 Like last year, Google has gone with a single 12MP camera setup at the back, and like last year, the Pixel 2 series camera also received the highest score of 98 by DxOMark. Google has added a Portrait mode which uses software to blur the background in the image. This time around, Google has added OIS support and EIS support, and they both function together for non-shaky footage. 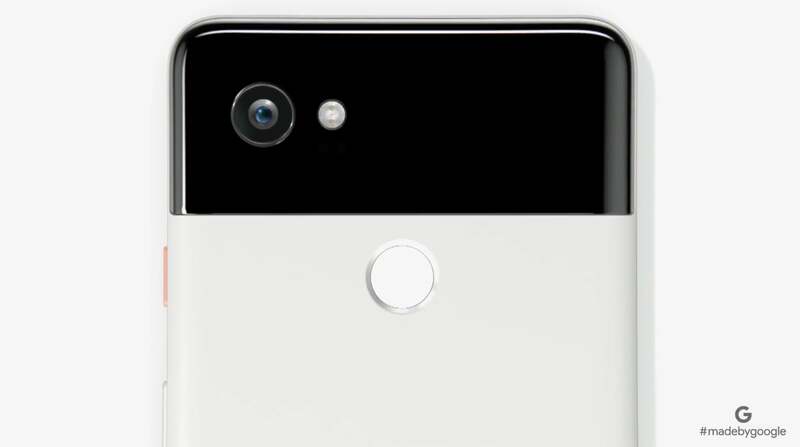 Google has taken a jibe at dual camera smartphones which use two sensors to capture Portrait images because Google says the Pixel 2 devices delivers better images with a single camera. Also, users can capture Portrait images with the selfie camera too. 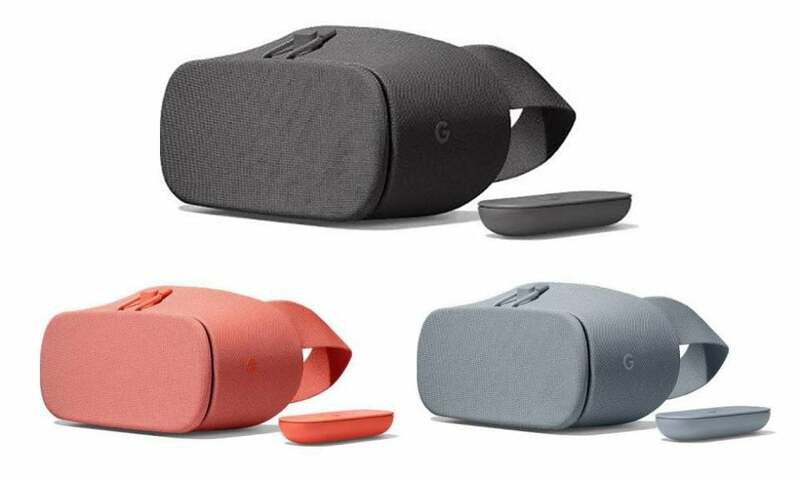 In addition to the Pixel 2 phones, Google also announced the Google Daydream View VR headset, which will retail for Rs. 7,999 in the Indian market. The Daydream View VR headset comes with a motion controller same as the first Google Daydream VR headset. So, Google has announced its first wireless headphones, namely, the Google Pixel Buds, whose highlight is the real-time translation to 40 languages. 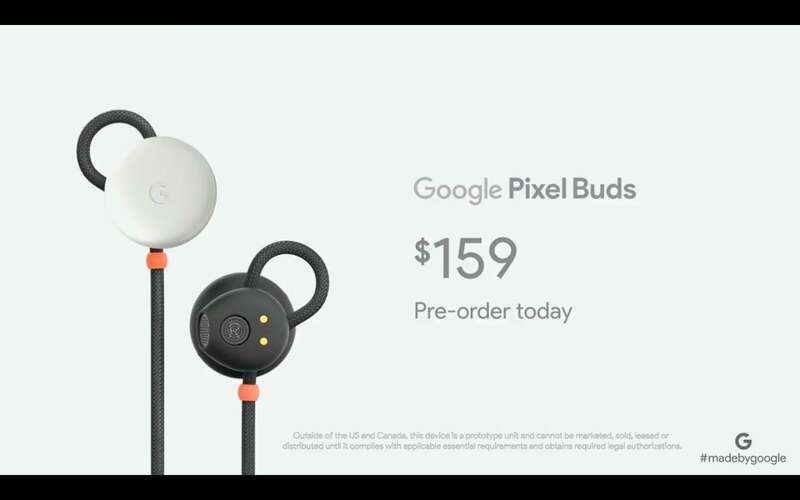 The Pixel Buds will retail for $159 in the US, and shipping starts from November.